The new HSP TOP2 Pro Version MONSTER RC Truck is a whole new animal with the addition of the Extra high Torque HSP Brushless Motor, Hobbywing's latest Fan Cooled 60 Amp Waterproof Brushless Electronic Speed Control and a powerful 11.1v (3S) LIPO Battery. 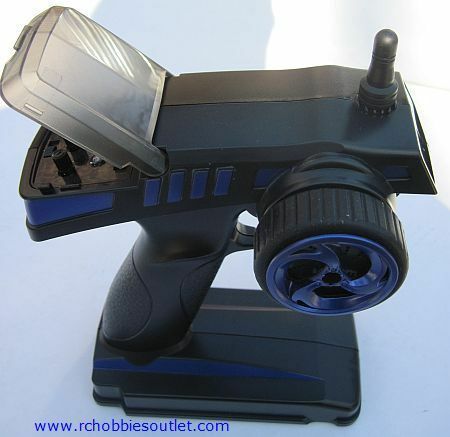 Brutal wheel yanking power will be unleashed when you squeeze the included Pistol Grip Controller. The TOP2 Pro Version is our fastest 1/10 Scale Electric Truck to date, and its built tough to take it. 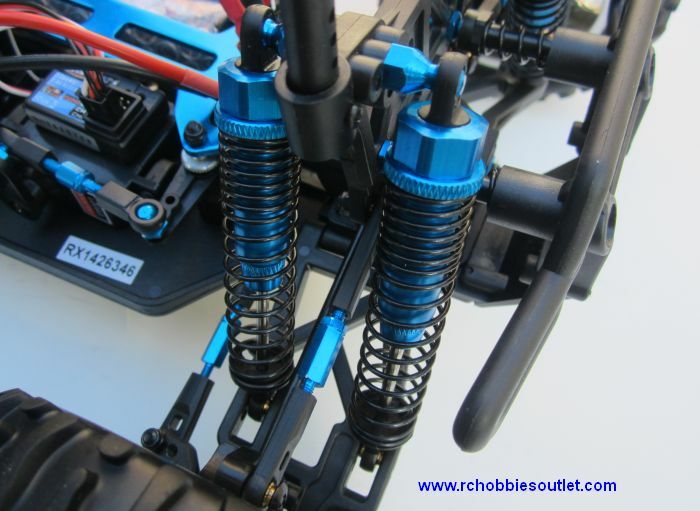 Based on the original MONSTER design, the TOP2 Pro Version has many familiar and new features like Eight All Metal Oil Filled Shocks, Fully Proportional Braking, Forward, Reverse, Full Ball Bearings, race adjustable suspension, Just to name a few. The soft compound tires help grip the track while you hang on for the ride of your life. 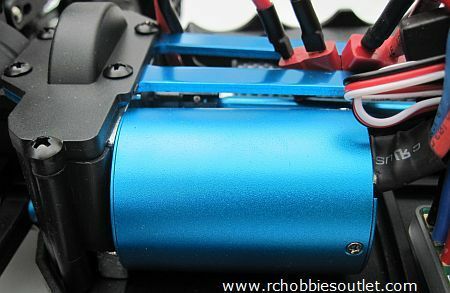 Whether you are a professional racer or you just want to blow off your pals cars, the new TOP Pro Version now comes the very latest 98% efficient HSP Brushless Motor.to deliver race-winning speeds, and the torque to conquer any terrain.. Not only does this motor give the truck a whopping 90% more speed, it also screams around the track much longer due to the fact the brushless motor is 98% efficient compared to only 48% for brushed motors. 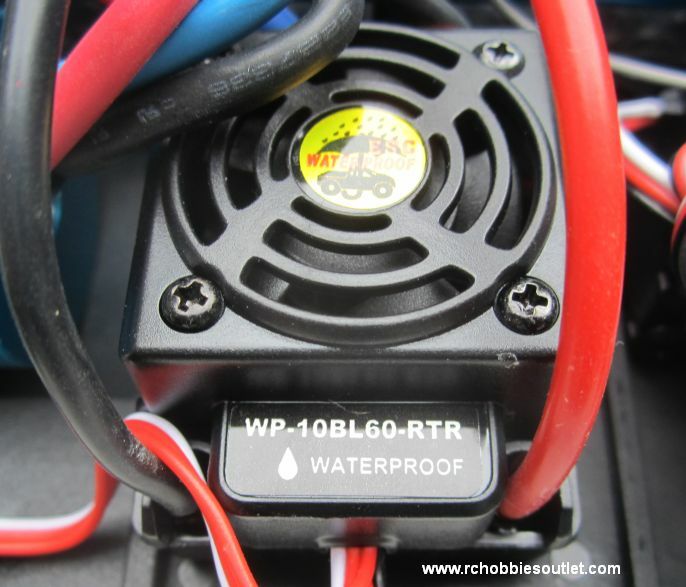 The new 2.4 Radio means longer range, no crystals, no external interference and no interference from other RC vehicles. 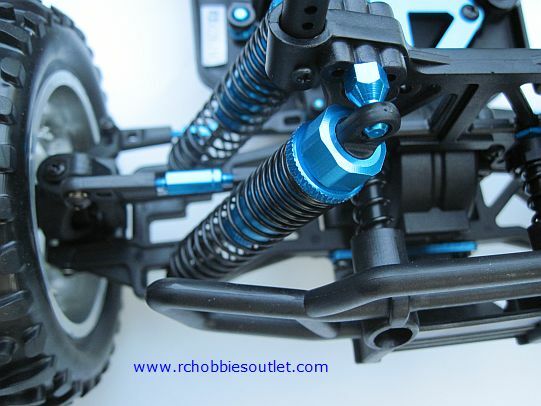 The robust 8 Shock adjustable suspension, high torque brushless motor and steering servo , great ground clearance, and 2.4G radio system, will keep this beast tracking straight through the roughest terrain, while reaching speeds that will blow your mind. 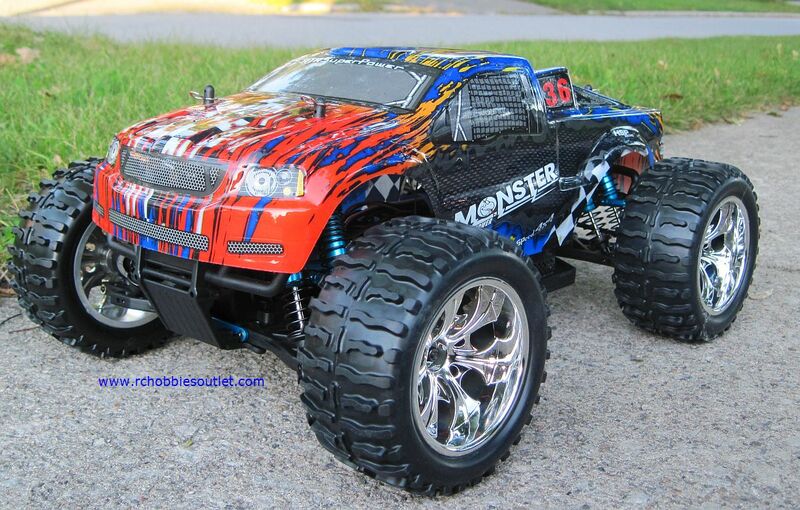 The RC truck is great for off-road racing in the park, or on the track. This great-looking TOP2 Pro Version also comes with a load of Factory Hot-Up Alloy Race parts including the stunning Chrome Factory Race Wheels, all Factory Installed. 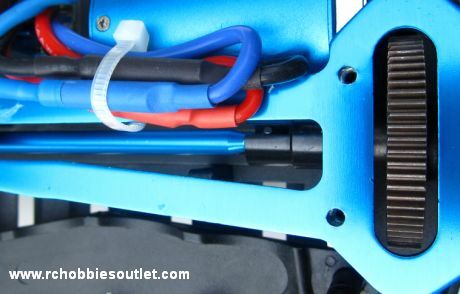 It also comes with a 11.1v 3900 MAH 25C LIPO battery for rocketing speed, acceleration, and substantially longer play time. This RC Truck comes 100% fully assembled straight out of the box with a 2 Channel 2.4G Pistol Grip Radio and fully painted body. Took a chance and ordered one if these trucks for my son. Truck arrived lightning fast 2 days later completely as advertised. Definitely hobby grade and unbelievably fast. 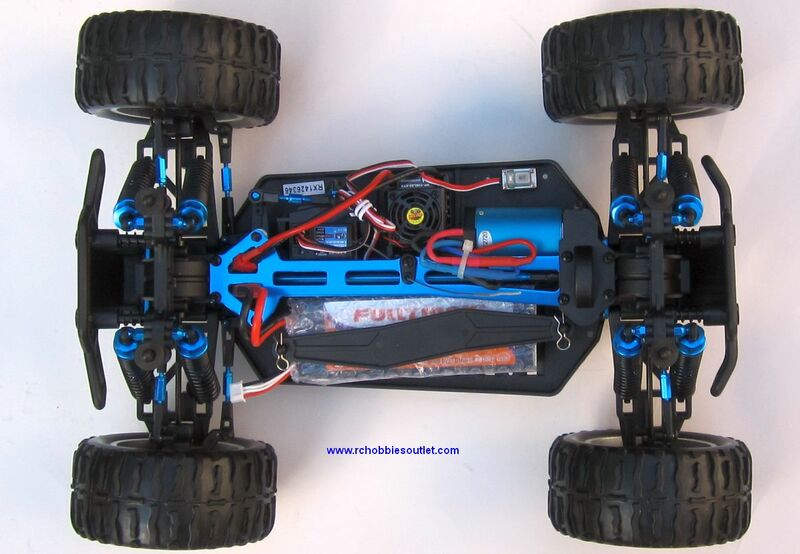 The 3 cell lipo and brushless motor makes this 4wd a handful to handle. All it wants to do is wheely, making it a blast to play with. Has taken some pretty good abuse so far and holds up. Loved it so much we bought a 2nd!! Would definitely recommend rchobbiesoutlet and there products if you are looking to get into the sport at an entry level price point!! This truck flies with the 3s lipo, almost too fast. Lots of fun on grass, dirt and asphalt. Recommend aluminum upgrades for the hubs. Overall a great truck and a great deal! My son and I love this truck! We have done a few upgrades, and we run it hard and fast now with no worries! 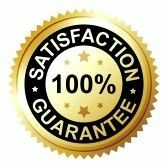 We had a warranty issue that was dealt with immediately! Thanks RC Hobbies! Great product and service. I would give 10 star rating if I could! Great truck!!! Fast,fun,ready to run right out of the box. You can't beat the price either. Fast delivery, fast email response too! Ready to go out of the box vary fast and would by more from this place. First let me say this is better then great!!! Not only is the truck top notch quality, super fast and true that you only have to open the box and go! go! go! But these people give you the service that is second to none!! I'm in Nova Scotia and had mt truck in 3 days. Super fast delivery!! I usualy don't write reviews but I am beyond satisfied and had to write this one. All I can say is if you are interested buy it. YOU WON'T BE DISSAPOINTED!!!!! This truck as incredible speed and handle like a charm. Instruction for the remote are not great but it IS a remote so very simple. Overall a 10!